ROLLBACK! 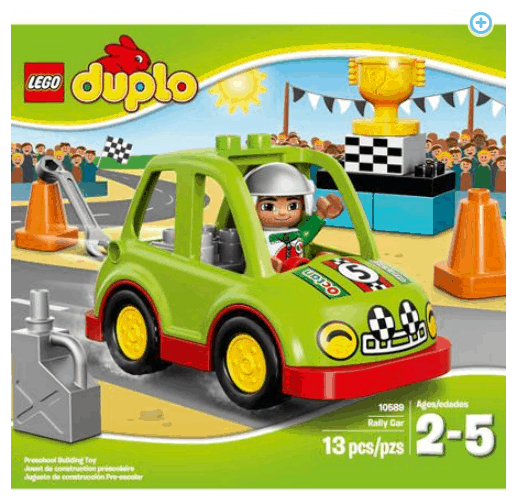 LEGO DUPLO Town Rally Car ONLY $10.32 + FREE Pickup (WAS $15)! You are here: Home / Great Deals / ROLLBACK! LEGO DUPLO Town Rally Car ONLY $10.32 + FREE Pickup (WAS $15)! Here’s a fun deal for your little LEGO lover! Grab this LEGO DUPLO Town Rally Car for ONLY $10.32 + FREE Pickup (WAS $15)!